Today we will be celebrating Earth Day by reading stories about nature and giving away seedlings to attending families. 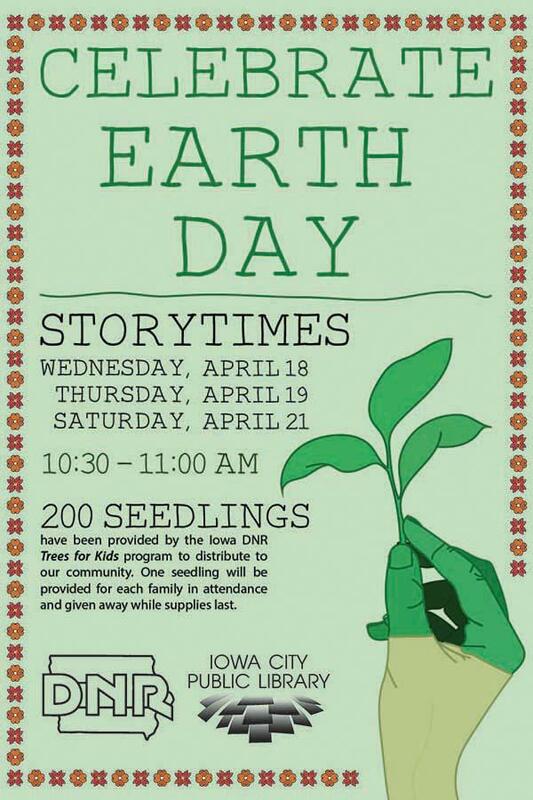 The Iowa DNR Trees for Kids Program has donated 200 seedlings to ICPL to give away to families attending programs during the week of Earth Day. Seedlings will be given out after the program. Limit one seedling per family please.